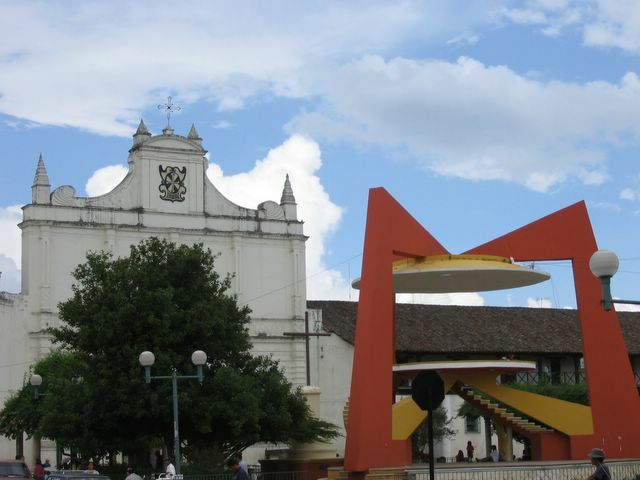 Cobán is a nice large town up in the mountains of central Guatemala. The town has long been a hub of European culture (with a strong German legacy, if you can believe), situated amidst a wealth of coffee plantations. The countryside is incredibly lush and green in this area. The town is generally a bit pricey by Guatemalan standards, and it is full of odd contrasts. On one hand, there is a wealthy elite here, and on the other, a large contingent of migrant farm workers looking for their next job. The Parque Central in Cobán demonstrates the odd contrasts that define this town, with its stately old colonial church overlooking a modernisitic gazebo of quasi-space-age architecture. 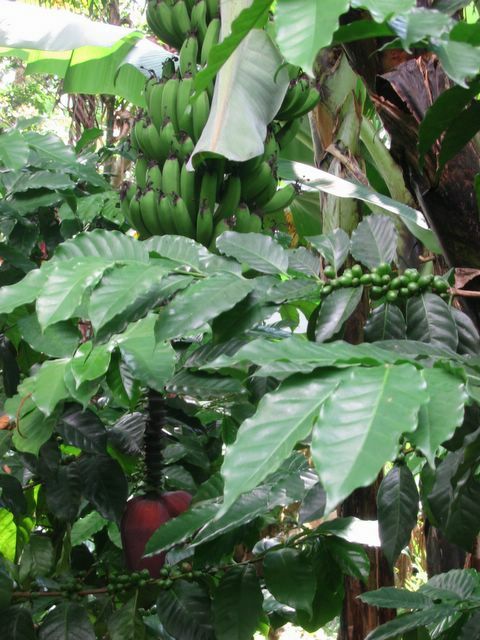 In Cobán, Rob, Mark and Jennifer enjoyed good coffee, walked in a beautiful national park on one edge of the town, and toured a coffee finca (farm) on the other edge of town. 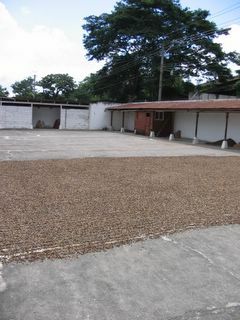 The coffee tour was especially nice, as they showed us the whole process of growing, harvesting, preparing and roasting the coffee. 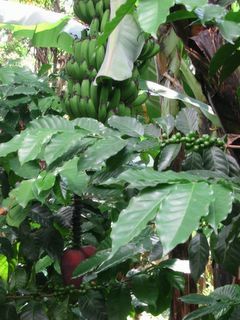 At the coffee finca that we toured, bananas grow side by side with coffee. They also grow black beans, cardemom, and allspice here. Coffee beans drying in the sun at the coffee finca.